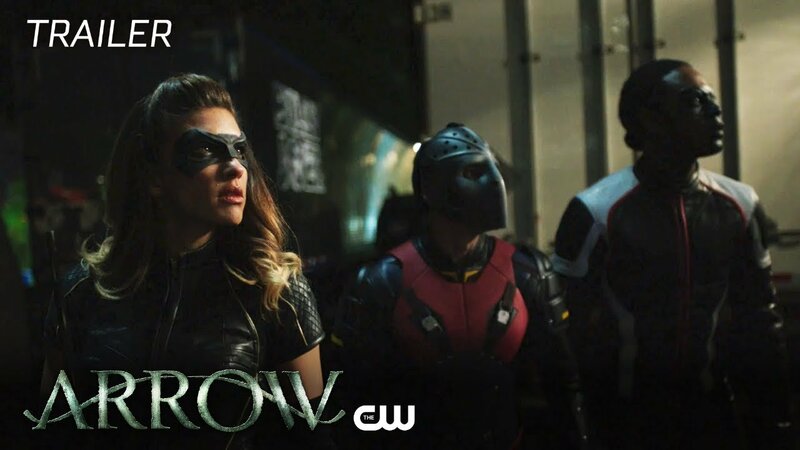 The CW has released the promo for next week’s episode of Arrow as everyone’s Thanksgiving plans are interrupted, creating a vacuum for chaos in Star City. Check it out in the player below! Gord Verheul directed the episode, which was written by Wendy Mericle & Speed Weed. Arrow stars Stephen Amell as Oliver Queen, David Ramsey as John Diggle, Willa Holland as Thea Queen, Emily Bett Rickards as Felicity Smoak, John Barrowman as Malcom Merlyn, with Paul Blackthorne as Detective Lance. Manu Bennett is back as Slade Wilson, aka Deathstroke, and his son, Joe Wilson, will be played by Liam Hall. Juliana Harkavy is playing Dinah Drake, David Nykl portrays Anatoly Knyazev, Michael Emerson is playing a mystery character, and Kirk Acevedo stars as Ricardo Diaz, aka Richard Dragon.